John R Hume looks at the history of churches in Airdrie. 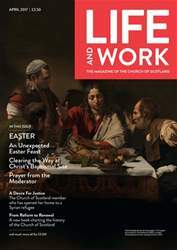 AFTER I wrote about Airdrie: New Wellwynd Parish Church a few months ago, the minister of Airdrie: High, the Rev Dr Ian McDonald, wrote to the Editor of this magazine regarding my comment that the High Chapel mission by the Church of Scotland in the 1830s was not a success. That comment was based on a quotation in volume 3 of the Fasti Ecclesiae Scotticanae, the official record of the ministers of the Church of Scotland and their charges. This volume deals with congregations of the Church of Scotland prior to the union of that Church with the United Free Church in 1929, and was therefore written from that perspective.